While installing an app from the Store in Windows 10, at times, you might get “This needs to be installed on a system drive. To override your preference, pick a system drive with at least x MB” message. As you can see in the picture below, I got the message when trying to install the Alexa app. As you likely know, Windows 10 saves all installed apps and their data on the system drive (the drive where Windows 10 is installed). Windows 10 Store displays the “This needs to be installed on a system drive” message when you are trying to install an app that cannot be installed on non-system drive, but you have set a different drive other than the default one (system drive) as the install drive for apps installed from Store (see how to change Windows Store apps install location). 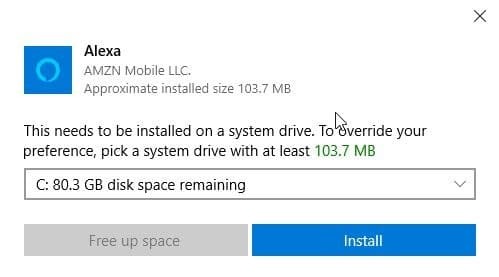 When you get the above message, you can simply select the system drive (Windows 10 install drive) from the drop-down box to continue installing the app. Alternatively, you can restore the system drive as the install location for Store apps again under the Settings app to avoid getting the same message in future. Here is how to do that. Step 1: Open the Setting app. Navigate to System > Storage. 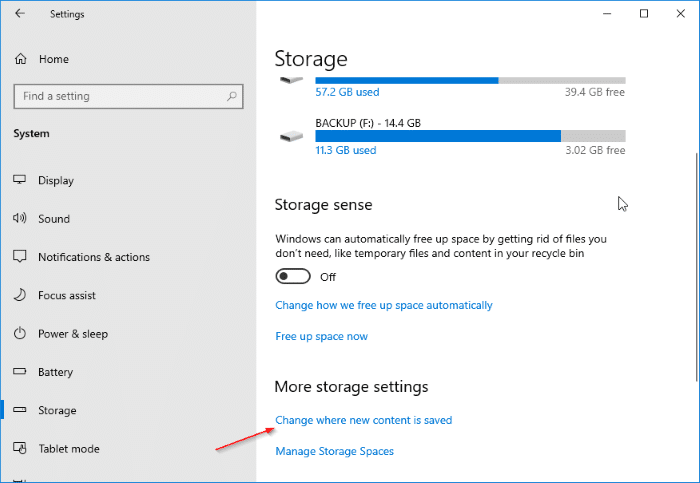 Step 2: In the More storage settings section, click on Change where new content is saved link. Step 3: The page displays default locations for apps, videos, pictures, documents, and TV shows. 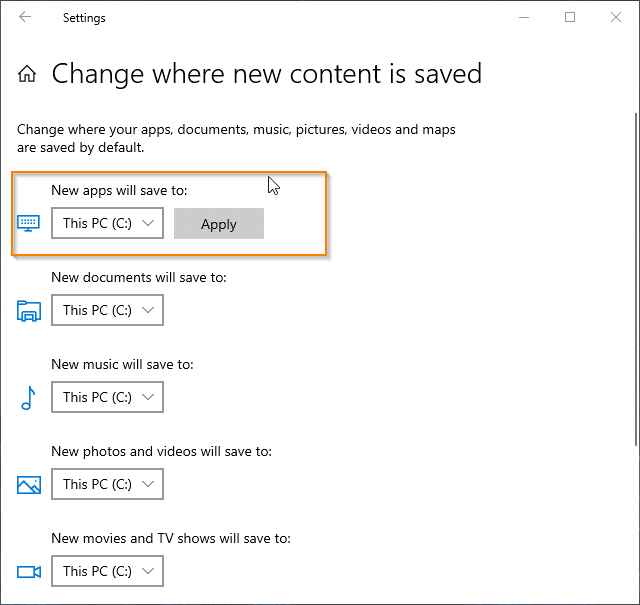 In the New apps will save to drop down box, select the drive where Windows 10 is installed. Click Apply button. The Store app will not display “This needs to be installed on a system drive. To override your preference, pick a system drive with at least x MB” message now.